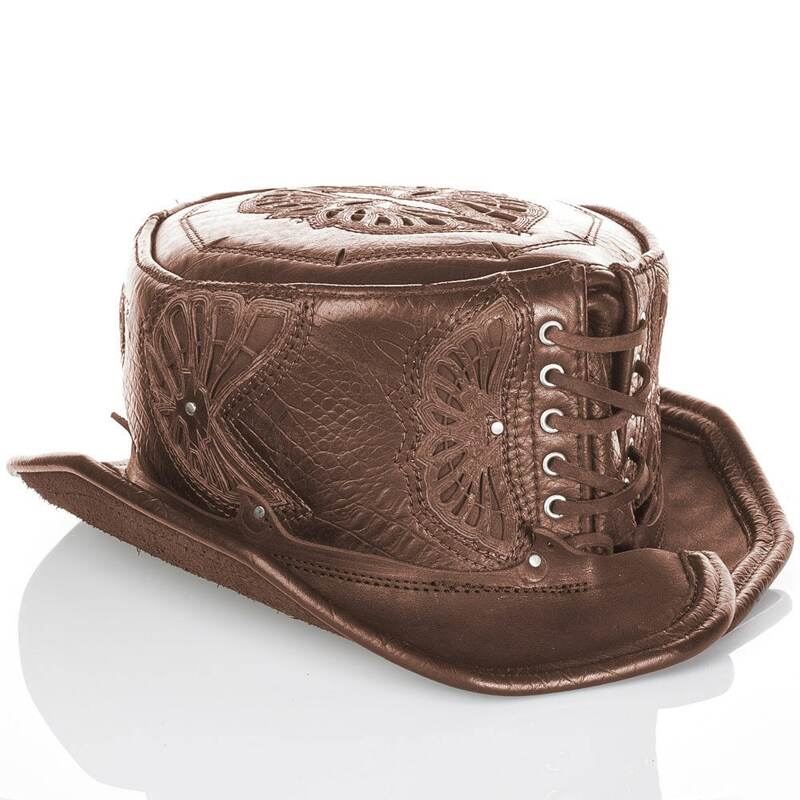 Size S/M: Fits 21-23" M/L: Fits 22.5-24.5"
All Brown Latigo and Alligator Print Leather Hat, Art Engraved, Filigree, Detail Stitch with Silver or Tarnished Brass Hardware and Leather Cord. 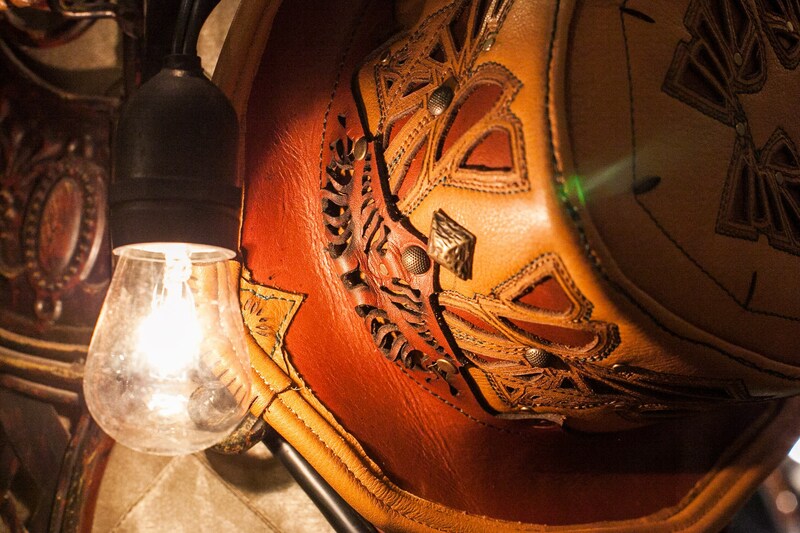 Adjustable wire lined brim allows full stylization! 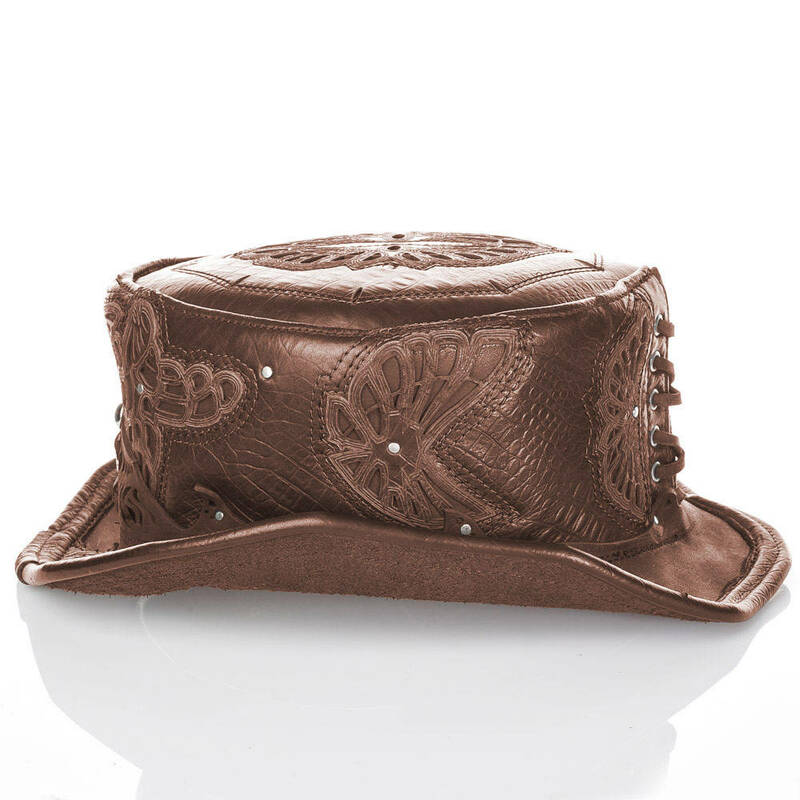 Inspired by our original Top Hat design, The Firefly, our Daunting & Dapper short style Top Hat is Unisex. 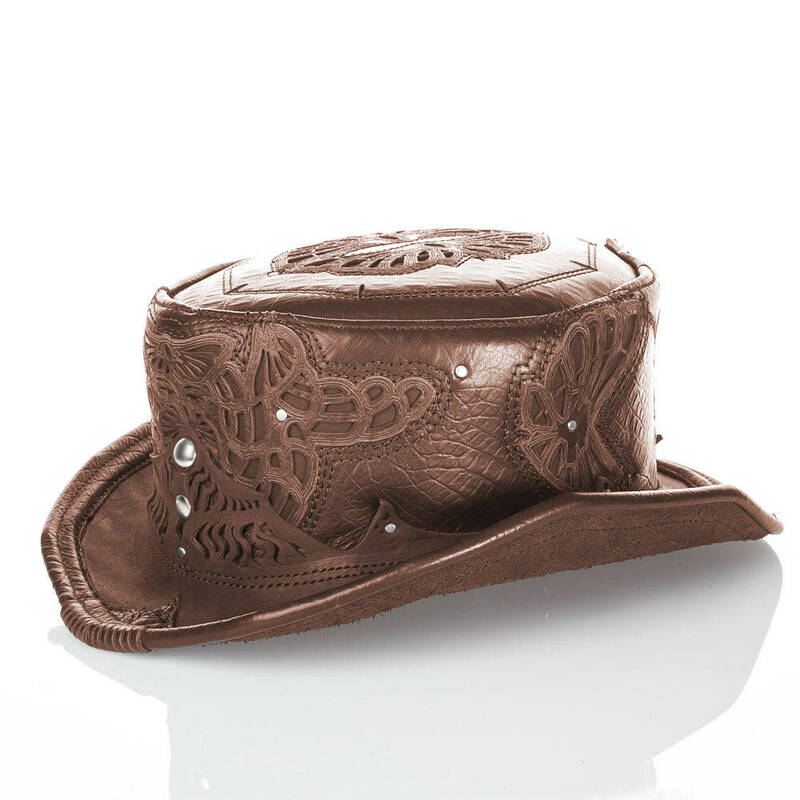 This hat looks great on most everyone and is one of our best selling hat designs. 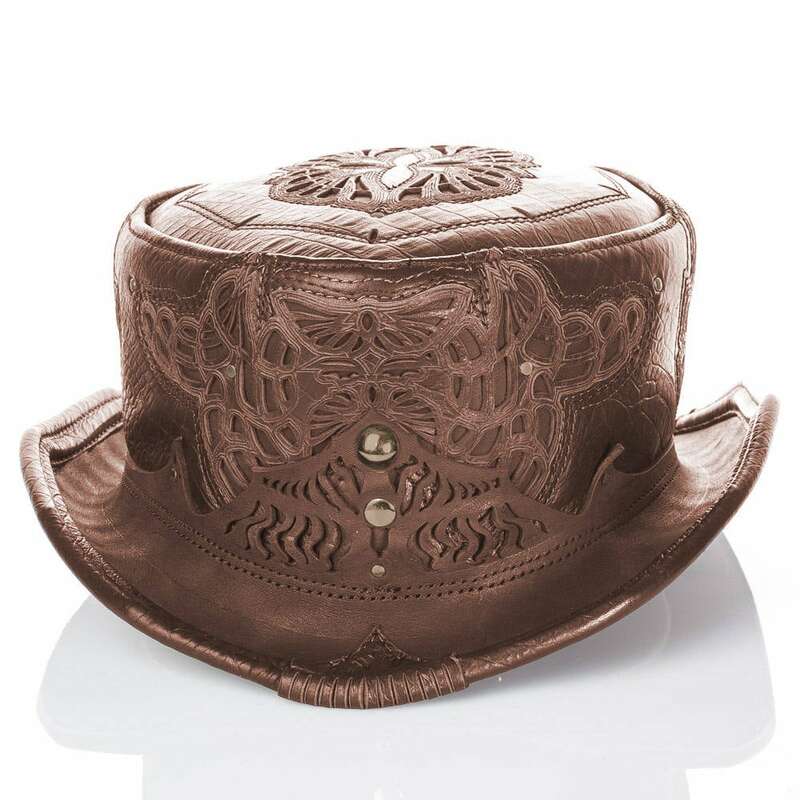 The unique design of this hat draws inspiration from the past 100 years or more of varying Top Hat styles. 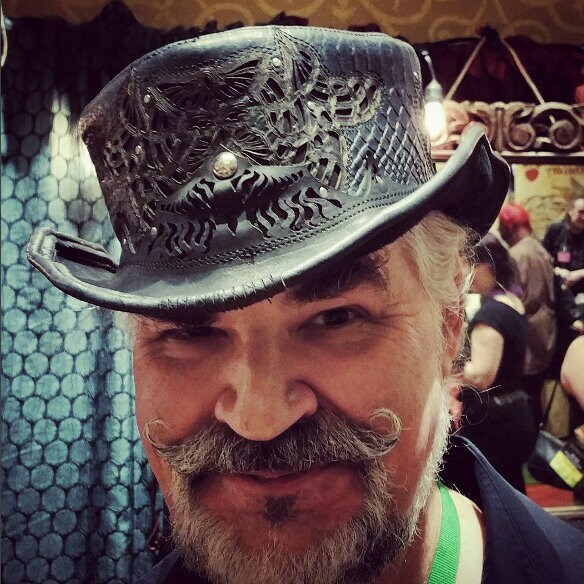 Aurelius, our incredibly genius mad hatter and ninja sempster, gets full credit for the ever-evolving pattern of this hat, with its incredible filigree, art engraved detail, customizable brim and comfortable wear. 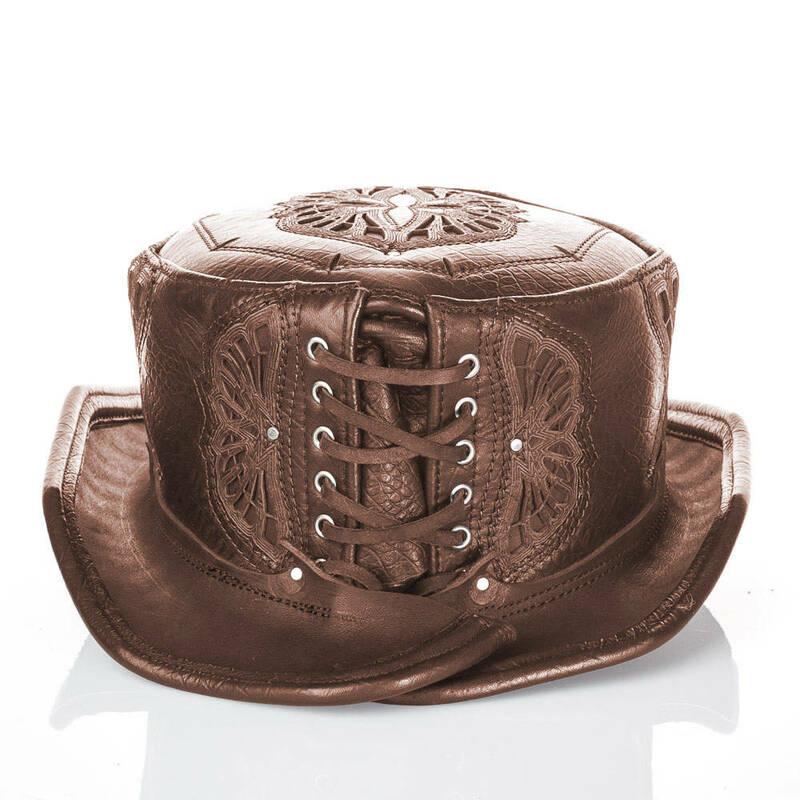 The corseting at the back of the hat is fashion with a function at its best, making this style of hat fully adjustable to a range of head sizes. Simply adjust to your head size, by tightening or loosening the lacing in back. 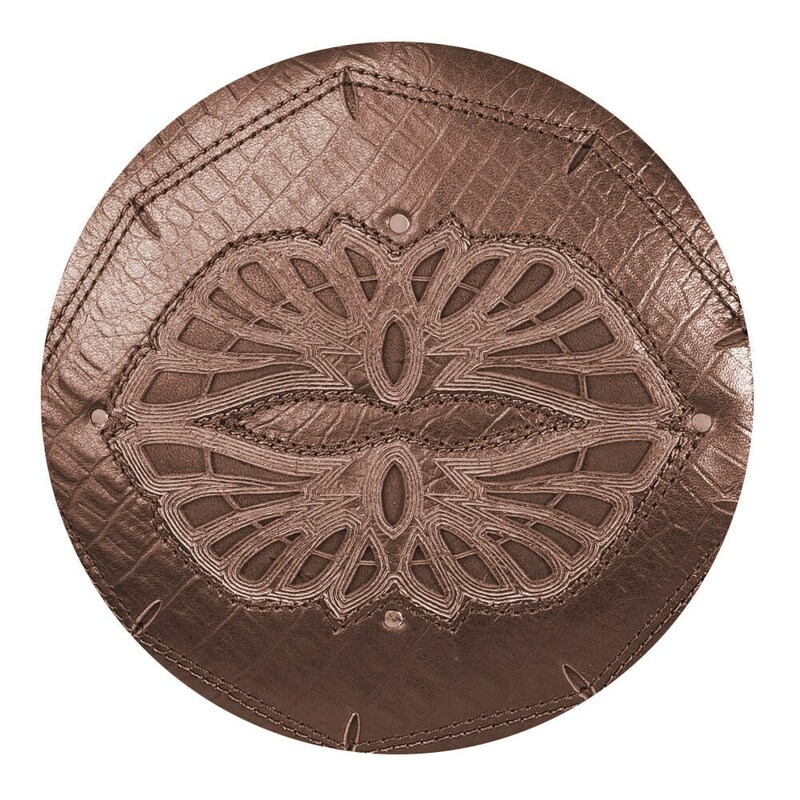 Once you have the perfect fit, the lacing can be trimmed and tied on the inside of the hat to appear 100% decorative. 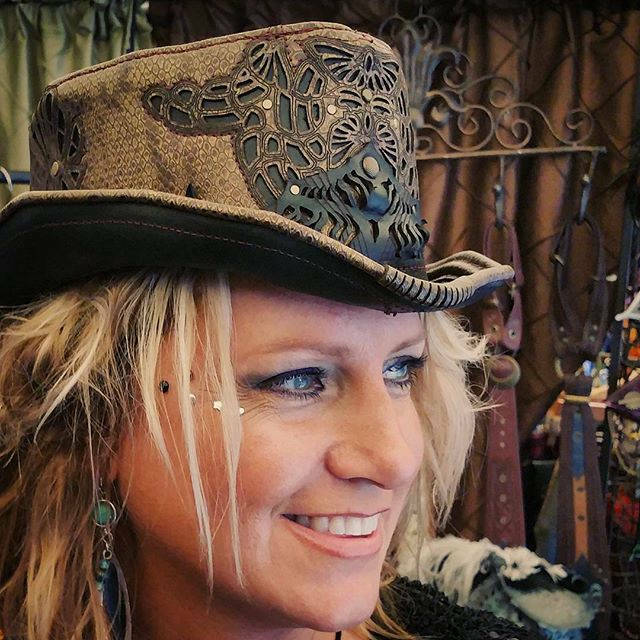 If you are interested in a Custom Made Hat *without* the corseting in back OR a One of a Kind with your color choices, please message us, as we can make a hat to fit your head perfectly and exactly as you wish! The last 4 hats pictured on our fabulous customers are the same hat style, but not the specific hat for sale. 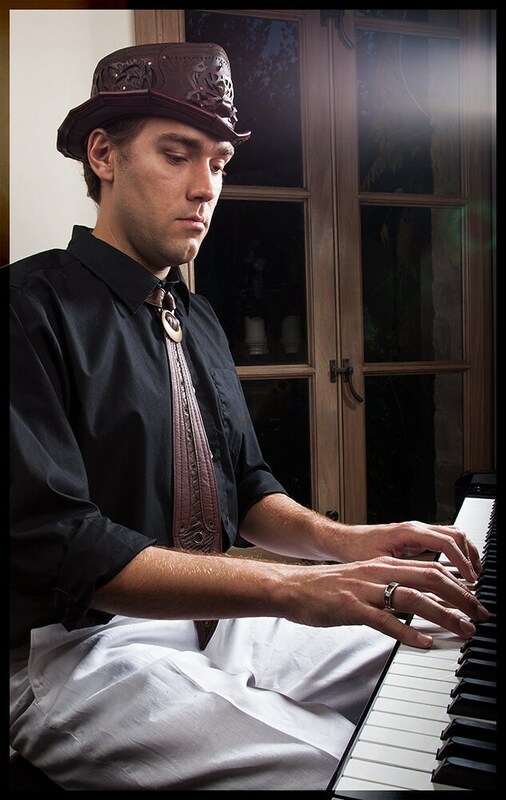 Please see the first 6 pictures to view the Limited Edition Top Hat for sale.